Many of us today give plenty of thought to cost-cutting. Today’s mentality of treating everything like a big business has taught everyone to watch the bottom line. As a result many traditional technologies like telephones are getting close attention. One option for reducing costs for a household or business is to look at VoIP systems to lower telephone costs. I know. A lot of people see VoIP as just another one of those buzzwords that we aren’t meant to understand. Frankly an in-depth knowledge of how VoIP works isn’t necessary for you to set it up for yourself. This stuff isn’t rocket science to set up and manage. You can do this! VoIP stands for Voice over Internet Protocol which is a techie sounding way of saying that your phone calls travel over the Internet. Some of you may recognize the abbreviation “I.P.” as being part of the “I.P. Address” assigned to your computer. Every network connected device has an I.P. Address to allow it to communicate with other devices. VoIP systems use that address to establish a connection with other systems and convert voice calls to data and vice versa. What does that mean for the average Joe on the street, you ask? Not a great deal to be honest. All that’s really necessary is to decide if VoIP is an option for you and what the pro’s and cons are. You’ll hear a lot of people saying that home phones are dead. “Why would you need a home phone when everyone has a mobile phone?” There are plenty of reasons to keep a home phone. Some people have had their phone number for many years and don’t want to give it up. Others need their phone number for business reasons. Most people considering VoIP currently have a land line from a telephone company like Bell Canada and aren’t sure how to go about making the switch. 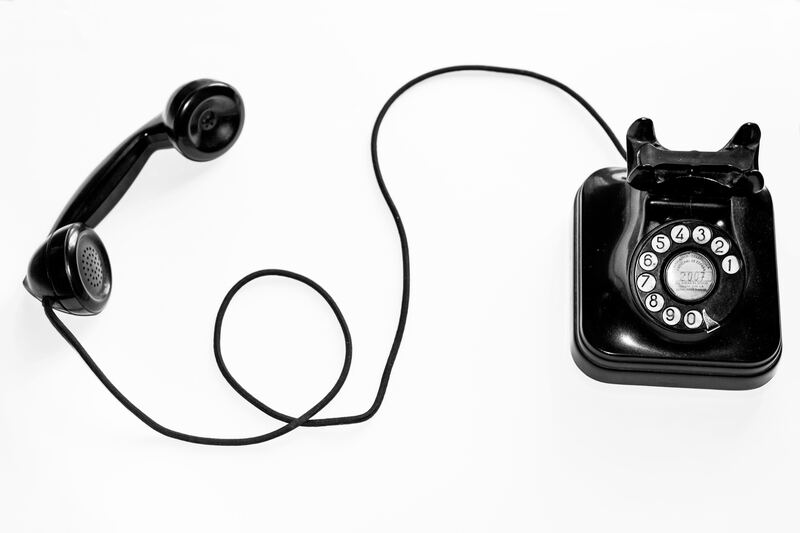 Let’s take a look at the differences between traditional phone lines and VoIP connectivity. A land line is a dedicated pair of wires that runs between your home or office and the telephone company’s office. This pair of wires is often referred to as “POTS” or Plain Old Telephone Service (yes, I’m being serious). That copper pair enters your home and another pair of wires gets connected to it for each telephone that is onsite. It’s pretty simple. That pair has electrical voltage applied to it at the telephone company office that is backed up by battery systems. That is what allows your phone to continue to work even during a power outage. Unfortunately, in many places those copper wires are getting old and can be prone to connectivity issues. Sometimes heavy rain or even high humidity can cause problems with call connectivity or audio quality. The expense of maintaining those aging connections contributes to the high cost of keeping a POTS line in your home or business. A VoIP system uses an existing high-speed Internet connection to connect your calls. Part of the cost savings associated with VoIP systems is this ability to merge two services into one. There are a number of ways to utilize VoIP from full-blown phone systems, to software programs on a computer or even small devices that allow existing phones to be switched from POTS lines. Each solution works as well as the next. Of course connecting phones to the Internet can mean the loss of that battery system that POTS provides. While a lot of Internet equipment is backed up by batteries they generally don’t stay functioning on battery for quite as long as traditional phone lines. In the event of a power failure it’s quite likely that your local Internet connection will go down and the VoIP system with it. The quality of a VoIP line is also directly associated with the quality and speed of your Internet connection. A slower speed connection will cause the phone call to sound poor. This can get much worse if the Internet connection is being used for something else while a call is going on. It’s a widely held belief that the only way to obtain a VoIP service is to purchase it from a carrier like Rogers. That’s not entirely true. You can manage this yourself. While many Internet providers do offer VoIP services, it’s very simple to do on your own. There are plenty of VoIP service providers that are simply a click away. Providers like voip.ms or voicenetwork.ca provide great service at low costs. Setting up a new account is as simple as filling out a form and supplying a form of payment. If you wish to keep a long standing phone number most VoIP providers have a simple form to fill out that will allow them to move or “port” the number to your account. Once your account is set up you will have a username and password to assign to your household devices. A simple adapter can be purchased to connect to the Internet and to your home phones. Physically connecting to the phones in your home or office can be done in a number of different ways. Many different types of connectors and junction points are available. Different colours of wire may be used depending upon the age of the wiring. However it gets put together there are two wires for each phone line, and two wires for each telephone. We’ll carry on assuming that we’re connecting a single phone number to ring at multiple phones in a home. The diagrams below show wiring for a typical house with a POTS line and that same wiring modified for a VoIP adapter. With the wiring completed the adapter can be configured to work with your VoIP account. In most cases this requires only entering the username and password from your VoIP account into the device and you’re ready to go. Having the connectivity portion completed should let you make outbound calls. If you’ve selected a new phone number or ported one from somewhere else you should also now be able to receive calls. I realize that this may seem daunting but it really is a simple task and can dramatically cut phone expenses for only a few minutes work. If you should go a more advanced route and decide to implement a phone system that’s where the real fun begins. Read on! Most features on a traditional POTS telephone line are added on as extras. Voicemail, CallerID, and Call Waiting are often expensive additional features. With an inexpensive phone system you can become your own telephone company. Enable or disable any of those features at will. VoIP phone systems are more cost effective now than ever before. The installation of a small telephone system can deliver a lot of flexibility and enhancements. This can even be achieved for free with an old computer. Installing Asterisk, a free and Open Source telephone system is a little more challenging but gives much greater reward. Many commercial telephone systems use Asterisk as their base and it’s power is well known. Asterisk is available in a number of versions. PBXinaFlash and IncrediblePBX are some very popular options. With a full blown phone system at your disposal the real power of a modern VoIP system gets unleashed. Some of my favourite features. Imagine having a separate voicemail box for every member of the house. Voicemail recordings can be delivered via email to your mailbox. A caller blacklist. Adding the phone numbers of your most troublesome telemarketers into the list means never being disturbed during dinner again! VoIP is an easy thing to deploy in your home or office. Setting up a phone system requires a little more time and dedication but is within the reach of anyone who has a little bit of computer experience. Give your friendly neighbourhood computer guy a call for more information!